When Einstein came up with E=mc2, maybe he was talking about video games. See, everyone thinks that "E" stands for energy, but I'd like to posit that Einstein was actually predicting the awesomeness that is E3 — the Electronic Entertainment Expo. Gaming giants look forward to the party that is E3 all year — and because the Sony Entertainment Network wants to keep that party going, they're kicking off a Best of E3 sale right now. You don't need to be a genius to play video games. 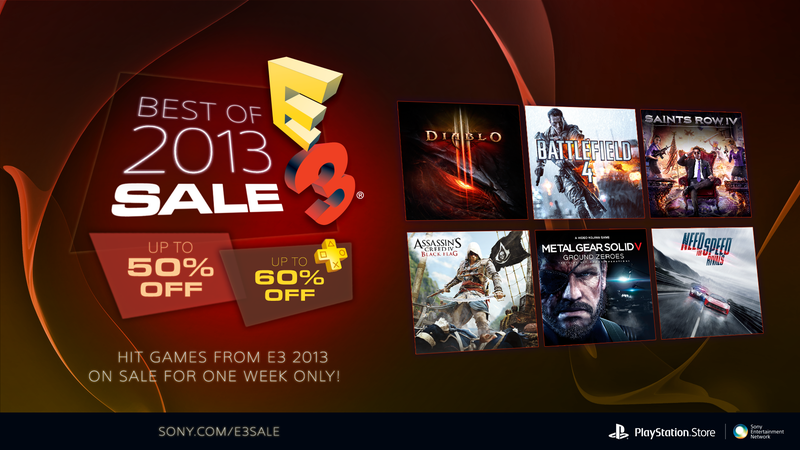 But if you're not smart, you may just miss out on Sony's E3 sale. And that'd be the ultimate brain fart. Andrew Kardon is a freelance writer and daddy blogger who lives for video games, comic books, sushi and everything '80s. He still holds on to the belief that the Atari 2600 was the greatest gaming system ever made. This post is a sponsored collaboration between Sony Entertainment Network and Studio@Gawker.